There was in the 1930s this dazzlingly beautiful Austrian who took Hollywood by storm and became the star who outshone the other stunners of the time. She was Hedy Lamarr, who had run away from a scary marriage to an Austrian arms manufacturer who was supplying weaponry to Mussolini and, of course, the creeping horrors of Nazism in her country. The iconic star has faded from public memory, although diehard movie buffs are likely to recall Lamarr starring as Delilah, Helen of Troy and Joan of Arc, and most likely in Algiers, her 1938 debut film. Lamarr did not appear to think much of her cinematic success. As she said disdainfully, “Any girl can be glamorous. All you have to do is stand still and look stupid.” What Lamarr did more spectacularly was to use her sharp brain to invent something that is widely used the world over: spread spectrum technology. In collaboration with music composer George Antheil, another inventive mind, the star devised a method called “frequency-hopping.” This allowed signals to be transmitted without being detected, deciphered, or jammed. They patented the technology in 1941 and gave it to the US Navy which, surprisingly, did not understand its significance till much later. It was used for the first time during the 1962 blockade of Cuba—three years after the Lamarr-Antheil patent had expired. Incidentally, Antheil gave full credit to Lamarr for the invention. Spread spectrum technology is the backbone of the digital communications revolution, spurring inventions such as the cellular phone and fax machines. But as with most other women inventors, Lamarr got little recognition for her breakthrough. As the woman whose technological brilliance was far ahead of its time, she once remarked wryly, “I can’t understand why there’s no acknowledgement, when it’s used all over the world.” But in the late 1970s Lamarr and Anthiel were honoured as pioneers by the Electronic Frontier Foundation. She also became the first woman to get the BULBIE Gnass Spirit of Achievement Award, the Oscar for inventors. Lamarr, at least, got a patent for her work. History is replete with distressing instances of women scientists who have been denied their due by male colleagues, but that should hold for another column. Now comes some faintly promising news from a study commissioned by the World Intellectual Property Organization (WIPO), a UN agency that is committed to promoting gender equality in the field of intellectual property rights. The just-released paper reveals that while there is a marked gender imbalance in patent applications, the proportion of women inventors has improved over the past two decades. Why is the balance so tilted? 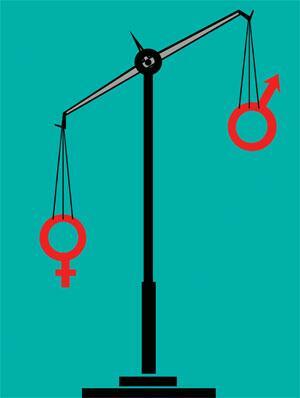 The paper says women working in firms with hierarchical structures are inhibited from patenting whereas women in flatter and more flexible firms, such as in biotechnology and the life sciences industry, may find the environment more conducive. Another is that women are more likely to be part of larger research groups when inventing than men. Women in such research groups give up patent on inventions in order to secure scientific authorship, even though they are entitled to both. That’s as odd as it gets.